This church has the worship of God the Creator, Jesus Christ, and the Holy Spirit as the core of its being. We welcome as part of the church family all who attend from both near and far. As ‘The Church in the Marketplace’ we seek to convey God’s love to the world by meeting all kinds of human need in everyday life, both here in our own community and elsewhere in the world. so that everyone who believes in Him may not die but have eternal life. Centrally located at the corner of Hare and Pakenham Streets, Echuca (see map below). 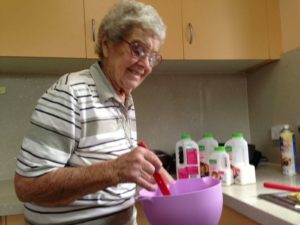 Our Church belongs to the Uniting Church in Australia with its wide-ranging ministries throughout Australia, in aged care, community service, the outback (Frontier Services) and Chaplaincy in schools, just to name a few. We are glad to provide a place of quiet in a busy world. The church building is at the centre of an active community, and we know that people can long for some quiet time. With our location in the middle of the Hare Street shopping precinct, this offer of peace is available for shoppers, workers or tourists. People have the opportunity to light a candle and pray, to sit and think, to wander peacefully or to take in the light of the stained glass windows. Our prayers for a new minister were answered. Rev. Michele Lees has begun her ministry with us in July 2018. Thank you to our interim minister Rev. Rhonda Kissick for her insightful worship and meaningful fellowship prior to Michele starting. 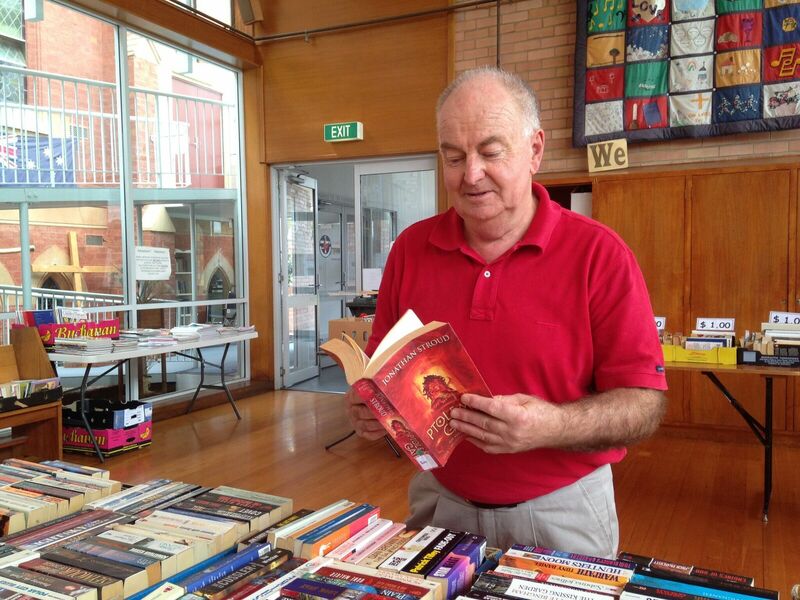 Our Saturday book stall in the hall has been a fabulous fundraiser. Thanks to our regular volunteers! Children and their families are welcomed in our worship services and the general life of our church family. All of our volunteers are ‘Working With Children’ accredited and we adhere to a ‘Safe Place for Children’ policy. 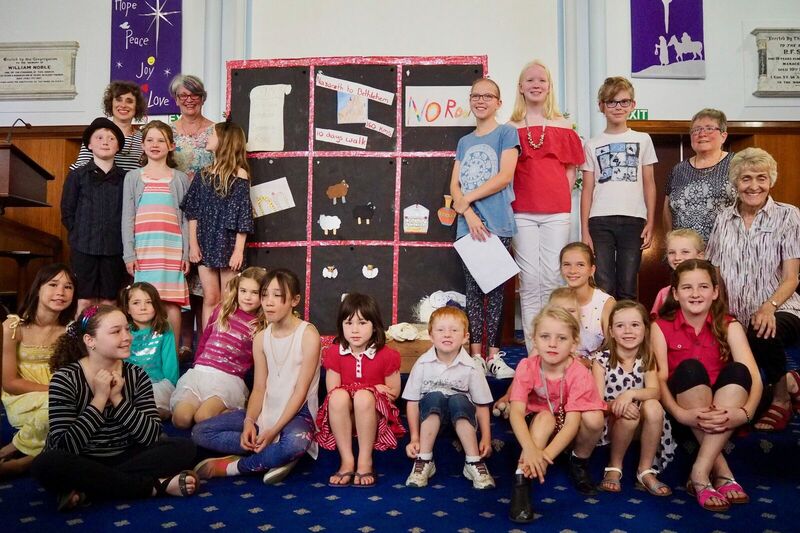 ‘Trailblazers’ is our ongoing children’s program which runs for 4 Sundays each term. Led by trained educators, children participate in a range of activities while learning of God’s message. See our ‘News and Dates’ page for current term dates. Baptisms are a special part of our worship services. Confirmation is another important step for young people in the church. Youth are supported to make connections with other churches and to attend events such as the National Christian Youth Convention. Young people are able to participate and assist in worship. Other activities that are run for children and families include seasonal celebrations at Christmas and Easter. Our Advent Workshops have proven very popular in the past with both the young and old! Music is an important part of our worship. We use the organ and piano and enjoy traditional hymns and more modern songs of praise as well as recordings of contemporary music. From August to December each year our Sounds for the Soul music series brings acclaimed musicians to perform in the church at monthly concerts. With the church’s beautiful acoustics the concerts are becoming a popular local feature and something to look forward to each year. See ‘News and Dates for your Diary’ for this year’s dates and concert details. There are small groups within our church congregation that meet for faith, fellowship, fundraising and volunteering. 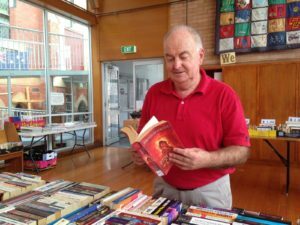 Some of the current groups are the men’s lunch group, UCAF (Uniting Church Afternoon Fellowship) group, and groups of volunteers who run regular cake stalls and a book fair. 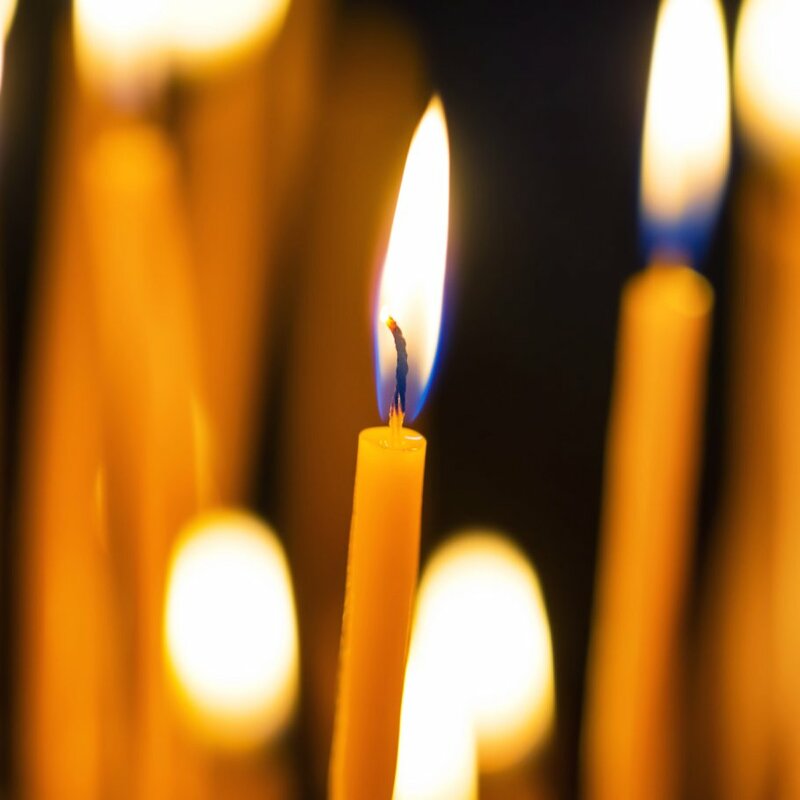 Seasonal study groups meet during Lent, Advent and other times. So, how did we come about? 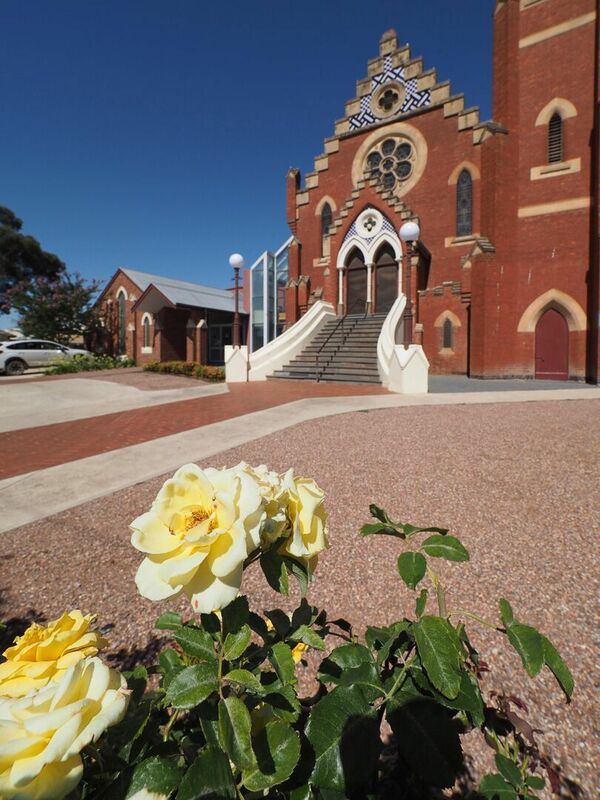 The Presbyterians of Echuca first began worshipping together in 1858 and the Methodists began meetings probably in the same year. In time they each built churches, the Presbyterians initially in Dickson Street and the Methodists near the new bridge. 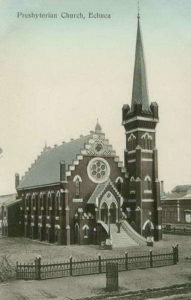 The Presbyterians acquired a more central block on the site of the local market and built their new church ‘St Andrew’s’ opening in 1901. The architect was a local man, Mr A E Castles who also designed St Mary’s Roman Catholic Church at the other end of the main shopping area, providing a nice balance to the town layout with the two spires. 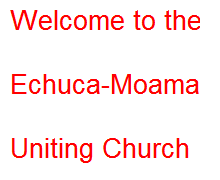 With the wonderful initiative of the formation of the Uniting Church in Australia, the Presbyterians and Methodists (in addition to the Congregational Church) in Echuca and Moama formed one church. After much hard work and with many hopes and some regrets, decisions were made to close the Wesley building and combine the two congregations into a new and vibrant congregation on the St Andrew’s site. Later, substantial renovations were undertaken, increasing the usefulness of the buildings and especially adding the Wesley Chapel as a new feature. Our current building is heritage listed and has the unusual original feature of the worship space being built up the steps with a hall area underneath. With our church premises on the site of Echuca’s old market, and situated in the current heart of Echuca’s CBD, we call ourselves ‘The Church in the Market Place’. A comprehensive record of aspects of the church’s history is available in a book entitled “From Market to Marketplace”, which is available from our shop Marketplace Crafts.